Blossoming streetwear brand Opening Ceremony has united with Adidas Originals in creation of an all new Stan Smith set. The unconventional and often-times whimsical M.O. that Opening Ceremony is known for blends all too well with the unique Stan Smith sneaker designs, unifying to bestow upon the sneakerheads of the world an oblation of epic proportions. We have been blessed by the sneaker gods with a footwear duo that have us very excited here at The Drop. The first feature in the pair is a blacked-out low top constructed of ponyhair and leather, atop a traditional hard-rubber sole. 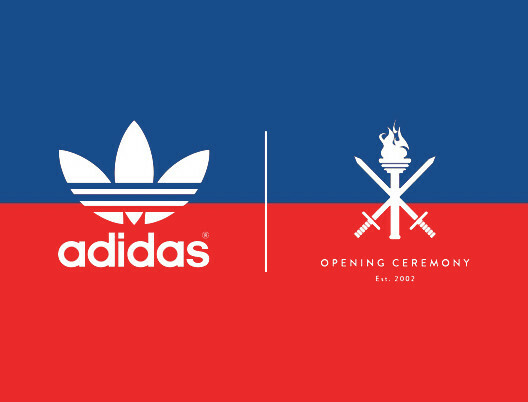 The Opening Ceremony logo can be seen on the tongue where the Stan Smith branding usually lays. The secondary model retains the same Stan Smith silhouette, though it is infused entirely with a white and gray zebra-print pattern and sits on a chalk-white sole. The doublet is available now from select Adidas stockists worldwide. Stay up to date with THE DROP by following us on Instagram @thedrop101 or via email at the top right of our home page! CLICK THE ≡ !